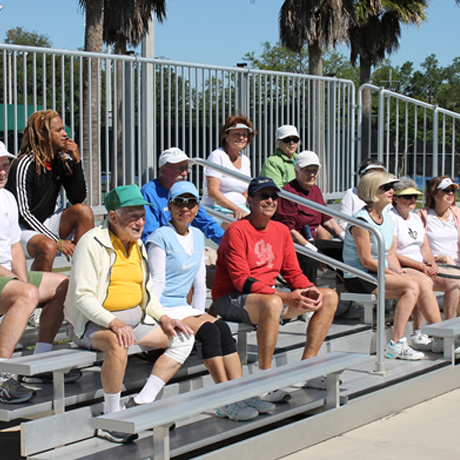 Bleachers aren't just for seating lots of fans. The greatest sports moments have been cheered, revered and idolized from these bleachers and grandstands! Having quality stadium seating is essential to creating a top notch athletic field. These aluminum bleachers provide you with the safety, high-quality and durability that are crucial to ensure your sports fans are enjoying a game or event the way it should be enjoyed, safely! Here are many different sports bleachers for sale. 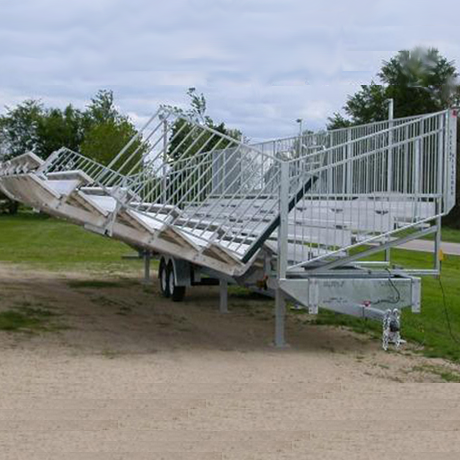 Small tip-n-roll bleachers, larger bleachers that you can move from athletic field to another, and even highway towable portable bleachers. The recent expansion of our bleacher and grandstand collection has made it possible for us to fit whatever your stadium seating or grandstand needs may be. Whether you're looking for an economical 'speedy bleacher' or a more permanent bleacher you will find it here at the Bleacher SuperStore! Tip N Roll Bleachers: These portable bleachers 'tip and roll' away for simple storage. 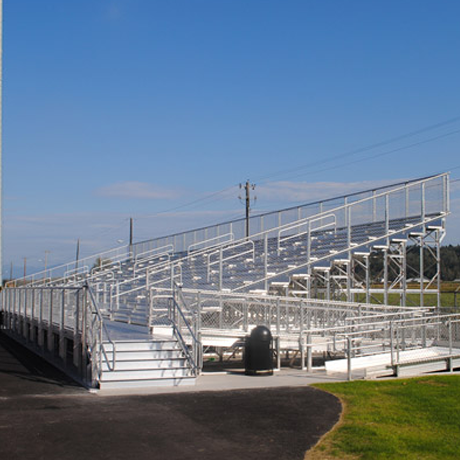 Low Rise Non-Elevated Bleachers -These 'low-rise' bleachers have a first seat height of less than 12", positioned directly on the ground, requiring no additional construction to be built around the seating. 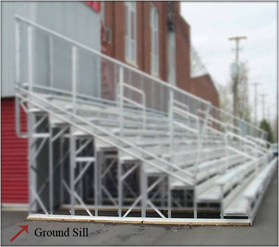 Non-Elevated Bleachers: A basic system that when seated on the first row, your feet are at ground level requiring no additional walkways or stairwells. 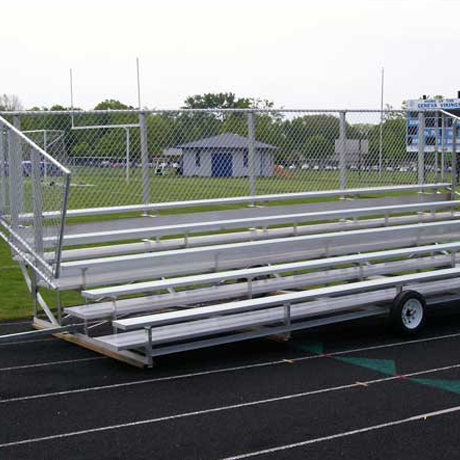 Transportable Bleachers: Designed to withstand the rigors of movement at a top speed of 5 mph (not intended for use on public roadways). Stadium Bleachers: A much bigger version of the elevated bleachers with a galvanized steel frame, these bleachers ensure your fans will see every play! 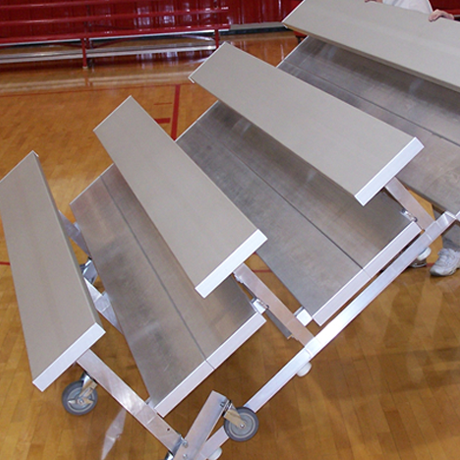 Call and let our friendly sales staff help you choose the perfect bleacher solution.